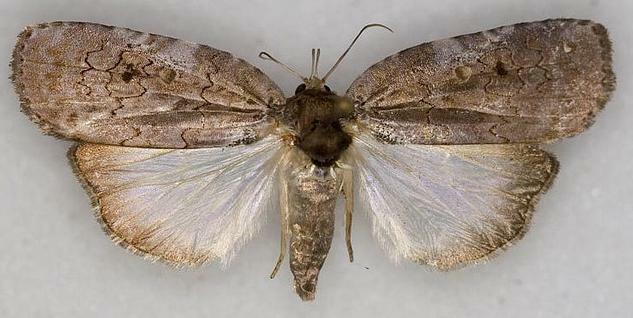 The adult moth has grey or brown forewings, each sometimes with a pale round spot near the centre, and/or white patches on the costa and wiggly dark lines. 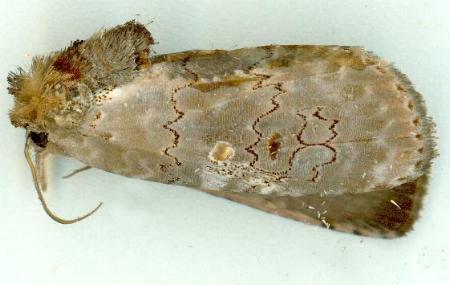 The hindwings are white, shading to brown at the edges, and have slightly concave margins. 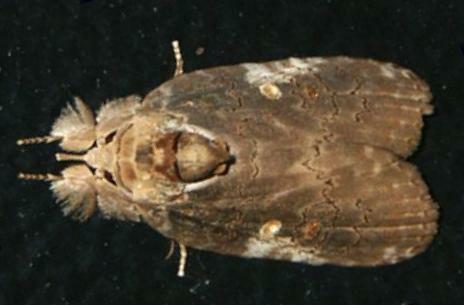 The moth has a large tuft of back-pointing hairs on the thorax, with a darker shorter collar of hairs on the head pressing against them. The wingspan is about 3 cms. LeapFrogOz, Kuranda, 2015, p. 172. Volume 27 (1902), p. 90. CSIRO Publishing, 2007, p. 187.